Dr. Dre, Known Abuser, Is "Working on a Couple Songs Right Now"
This is probably exciting news for lifelong Dre fans who’ve managed to completely suspend reality and ignore the rapper’s past. It’s certainly discouraging that a case of abuse as well-documented as his brutal assault of journalist Dee Barnes in 1990 has yet to yield any meaningful consequences. 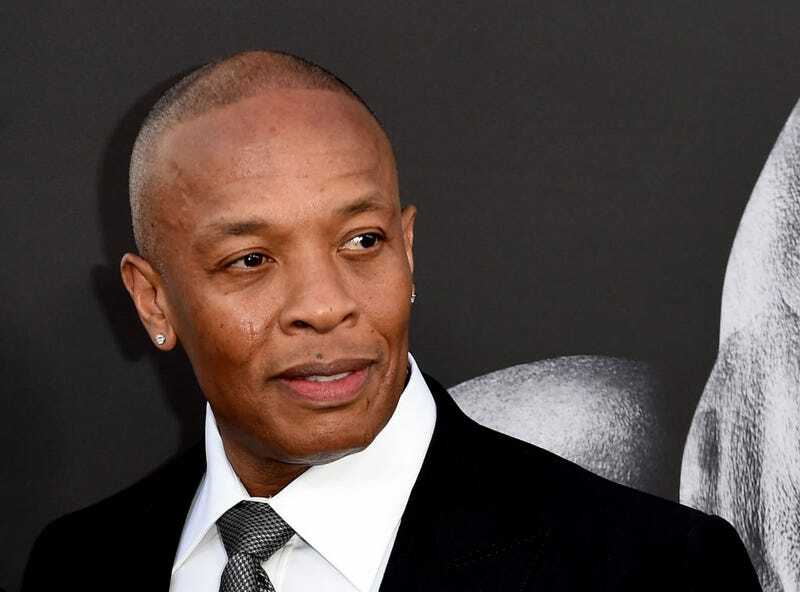 Dre has apologized numerous times over the years—as recently as in last year’s HBO docuseries The Defiant Ones—and claims to have “this dark cloud” that follows him, which undoubtedly pales in comparison to what must follow Barnes and the other women mentioned in a 2015 Gawker piece. Some might call the past few months a watershed moment for holding abusers accountable in the entertainment industry, one that only extends to certain corners of it and to the cost of victims of sexual violence. There’s still so, so much more work to be done, and many more pedestals to knock down. A new Dr. Dre album isn’t worth it.